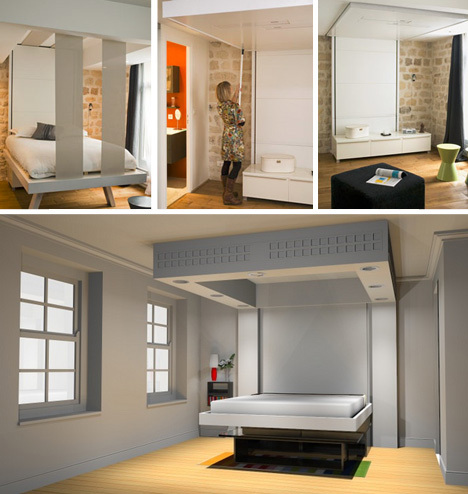 In a bid to one-up the traditional fold-up Murphy bed, two companies are switching a wall-based storage approach for a ceiling-centric alternative. For those with higher spaces above but less square footage below, this design direction takes advantage of headroom while keeping clutter off floors and walls. 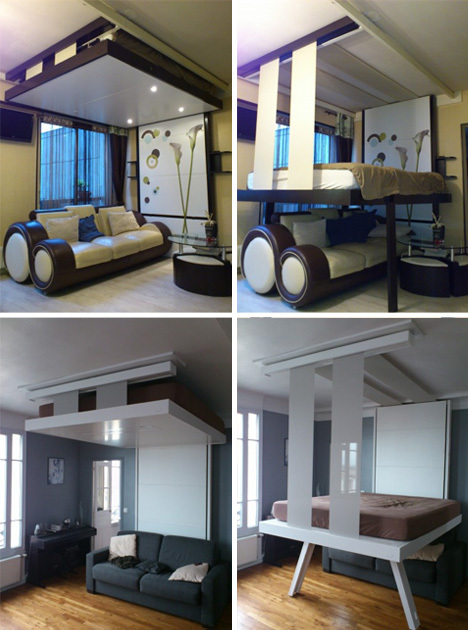 BedUp is a French creation that solves multiple problems with folding wall beds. First, as alluded to above, it shifts the burden to storage vertically rather than horizontally. 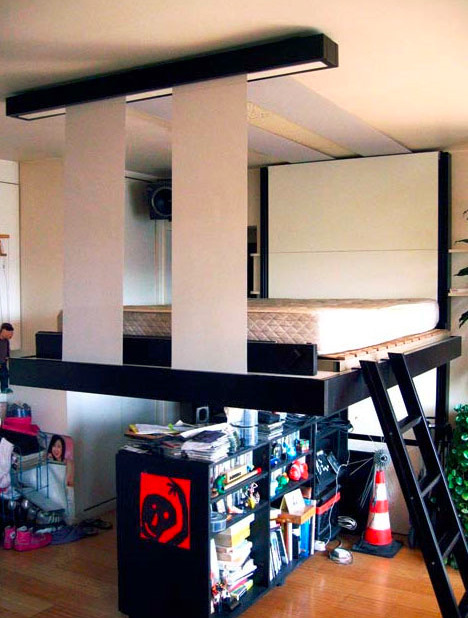 Second, however, the BedUp also can come to rest at various heights, leaving room for storage or full-sized furniture underneath even when deployed downward for use. 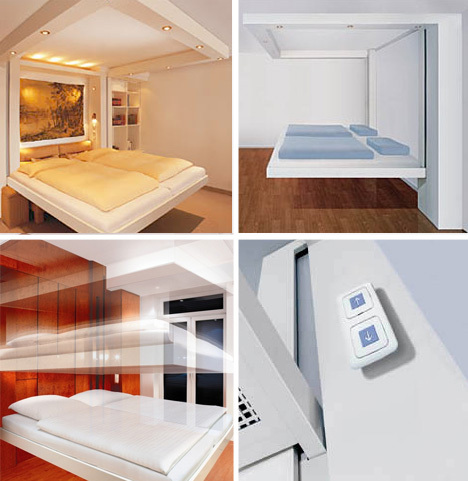 LiftBed is a German company offering an arguably sleeker-looking solution but it comes with a few catches. 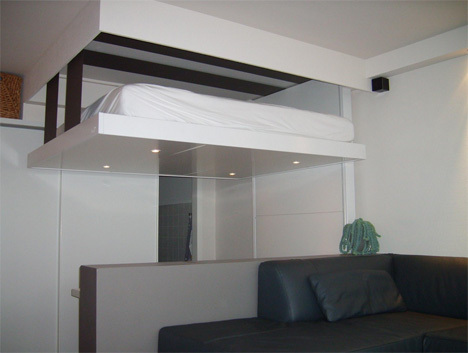 The cantilever that allows the bed to look like it is hovering, for instance, means more hidden mechanical and support elements are needed, in turn taking up more space. That said, the resulting LiftBed looks clean, minimal and incredibly well-integrated with its interior surroundings, so if aesthetics are your primary concern, this approach may be the best.